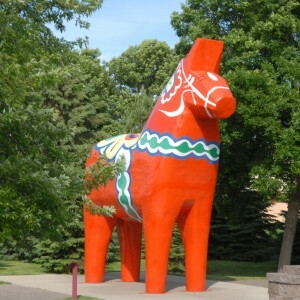 A large 30 feet tall Dala (dawla) horse, which is the most recognized Swedish symbol in the world, was dedicated by the Swedish Heritage Association on October 10, 2000. 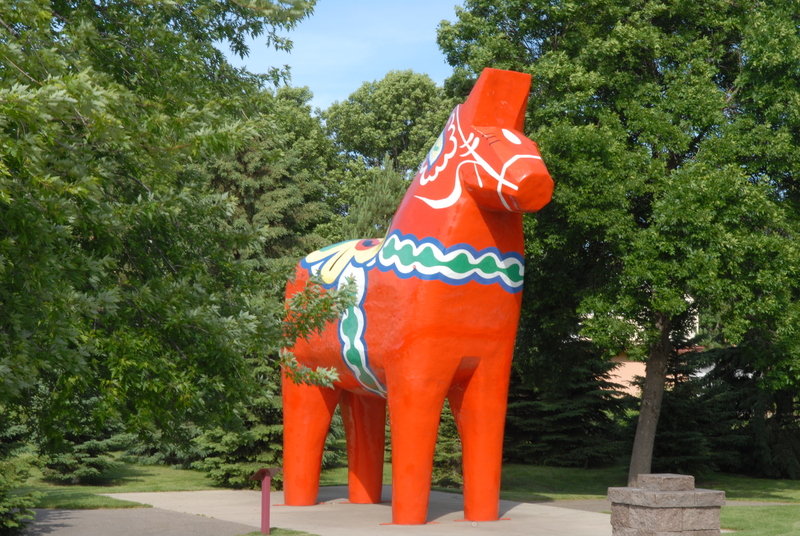 These brightly colored horses have been carved in various sizes by Swedish craftsmen and take their name from the province of Dalarna where is has been a popular form of domestic art since the 1840s. Historical accounts vary in giving credit to woodsmen and to soldiers for originating the craft. 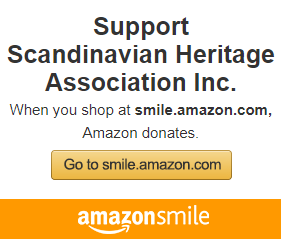 It is certain that long autumn and winter evenings with little to do, coupled with the availability of wood scraps from the furniture-making trade of the area, fostered the development of the Dala Horse. The first Dala Horses were plain wood, created as toys for children. A hundred years later, they took on their familiar bright colors and kurbit (flower-patterned) saddle and harness designs.